It’s crucial that you know when you’re in need of a fire extinguisher replacement. You should never use an expired extinguisher and it would be terrible if your device didn’t work in the event of a fire. Fire extinguishers play a significant role in protecting the environment and fighting against fires. As a matter of fact, fire extinguishers are the difference between a minor fire and a conflagration in over 600 businesses and non-residential buildings every day in America. That’s why it’s so important to know the signs that indicate you need a fire extinguisher replacement. 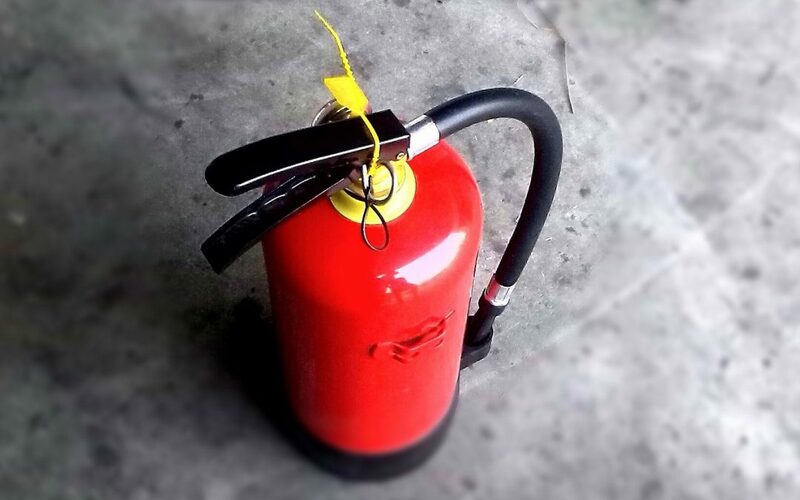 In this blog, we will discuss how to determine whether or not your disposable, portable, or rechargeable fire extinguisher needs to be replaced. Then we will discuss how to properly dispose of your extinguisher if it’s expired. As a good rule of thumb, you should plan to replace your disposable fire extinguisher every 12 years. If you aren’t sure how old your extinguisher is then you can check the pressure gauge on a monthly basis to ensure it’s still functional. Your portable fire extinguisher should last about 10 to 12 years. Around that time you should schedule a hydrostatic test to ensure the outer shell is still in good shape. A hydrostatic test will examine the pressure of your extinguisher using water or another non-compressible fluid. It must be performed by an approved extinguisher servicing company. If the extinguisher passes the test then you can recharge it and use it for another couple of years. Because fire extinguishers are filled with pressurized chemicals, you should never dispose of them in the trash can. Below are the steps you should take in order to safely discard your fire extinguisher. Speak with a professional from the fire department and ask if you can drop the extinguisher off with them at the firehouse. If you can’t drop it off at the firehouse then take it to a hazardous waste disposal facility to safely get rid of it. Squeeze the lever in order to release all of the pressure. Take off the fire extinguisher head. After you have completely emptied the fire extinguisher and removed the head, you should be able to drop off the body at a recycling facility. Frontier Fire can answer any fire protection or fire extinguisher related questions you may have. We have been Colorado’s leader in fire safety for almost 60 years. Give us a call today at 303-629-0221 to ensure your building is protected with the highest quality equipment.